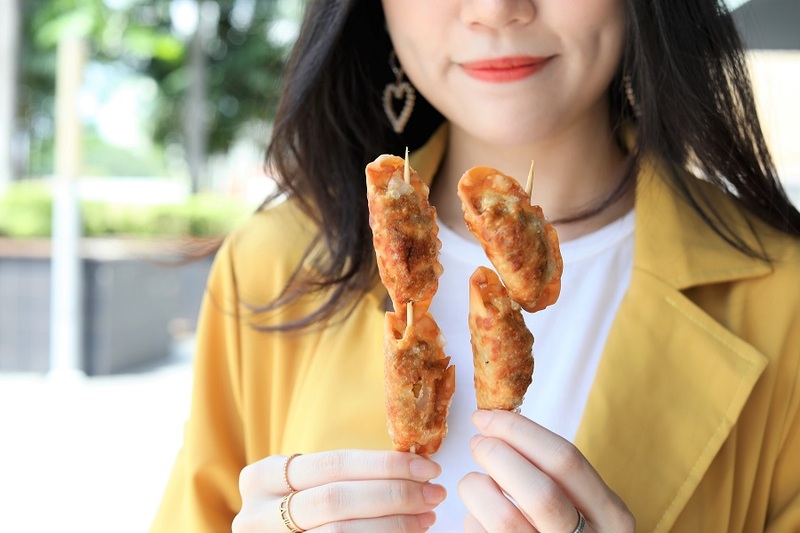 If you are craving for Korean street food but haven’t got the opportunity to fly over, you can now experience pojangmacha with family and friends at 9PM Kkochi, over different types of Kkocchi (Korean for “skewers”). 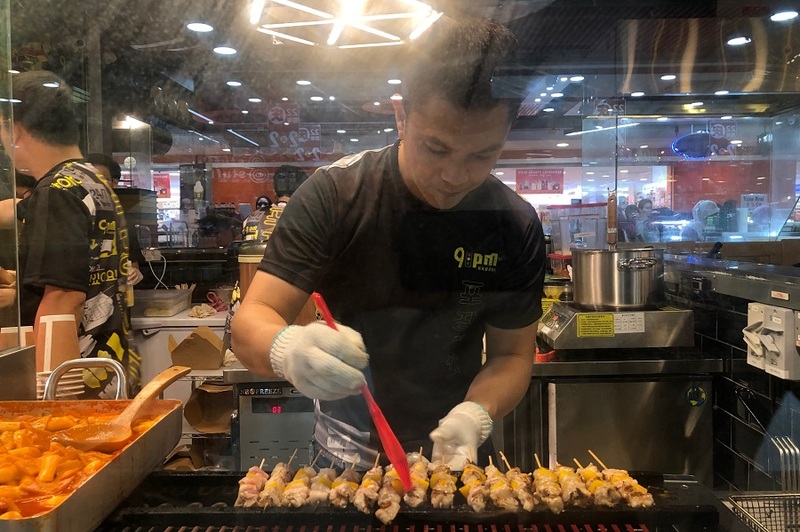 Inspired by the night markets of Korea such as the popular Myeongdong Street Market, 9PM Kkochi is a Korean Street Skewer specialty stall in Singapore, found at Woodlands Causeway Point’s revamped basement. 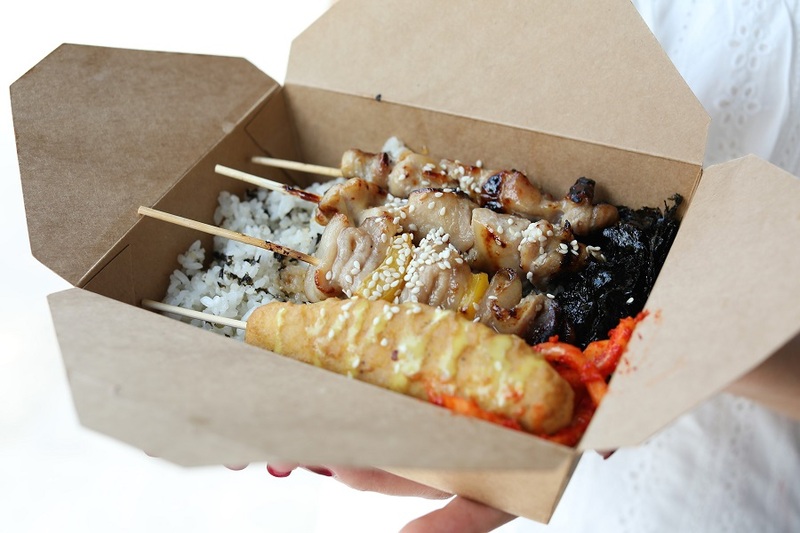 Its simple yet varied menu will delight the palates of those looking for easy, quick and mashisoyo Korean street snacks. 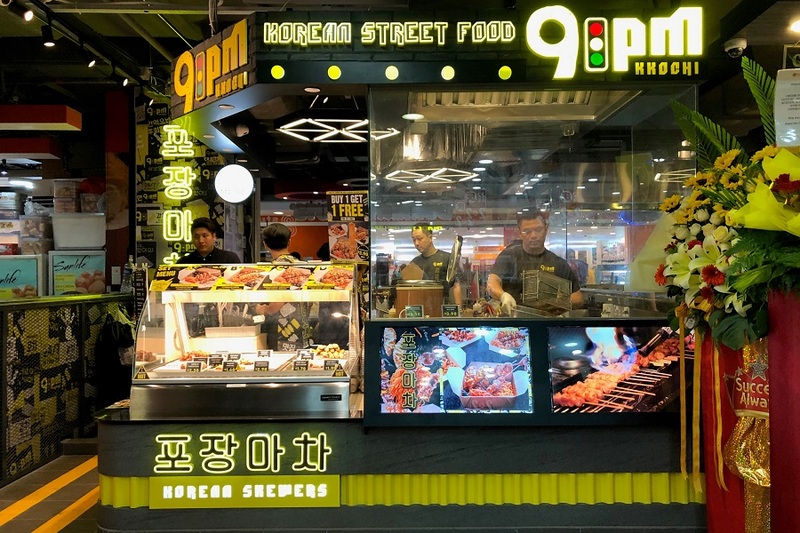 9PM Kkochi is by the group that introduced Seorae Korean Charcoal BBQ, which now brings to Singapore the Korean street food concept of pojangmacha (포장마차). 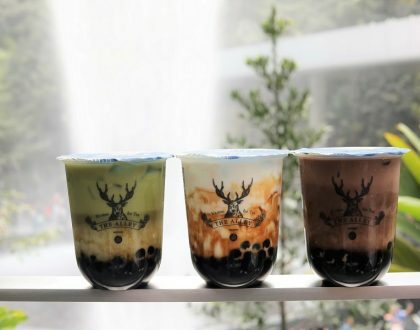 This concept originates in the 1950s in Seoul as small carts which sold small snacks and drinks. Eventually, creative merchants began covering their carts with orange tarps and added stools and tables for diners to sit on. 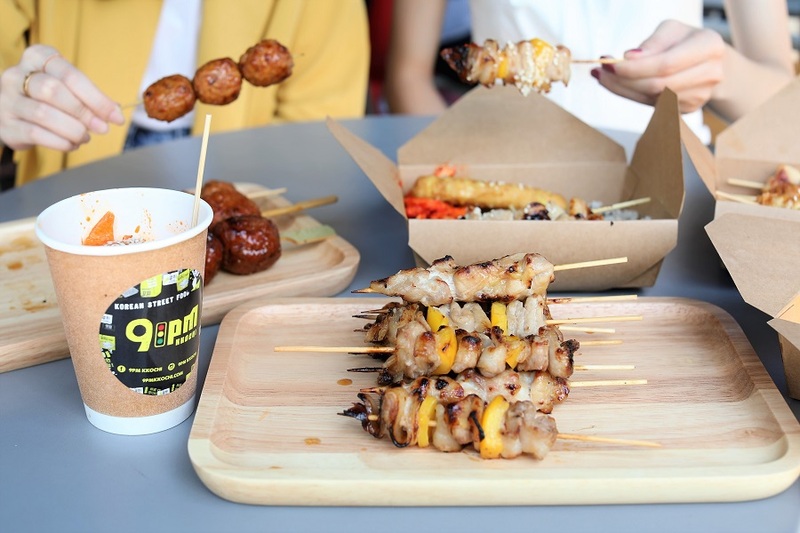 Having a late night snack or post-work drink at a pojangmacha is a popular activity in Korea, even in popular shopping districts like Myeongdong. 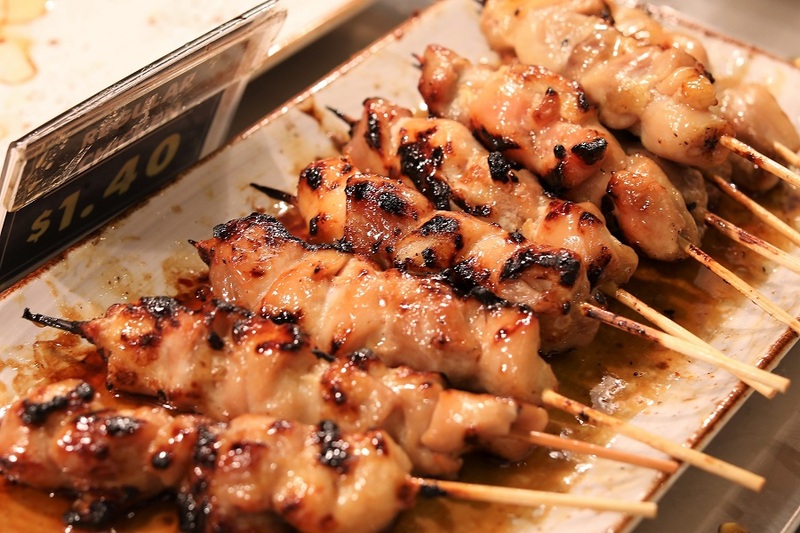 Similar to the Japanese yakitori, the Kkochi are skewered pieces of fresh, marinated meats and vegetables, coated in sauce, then grilled. 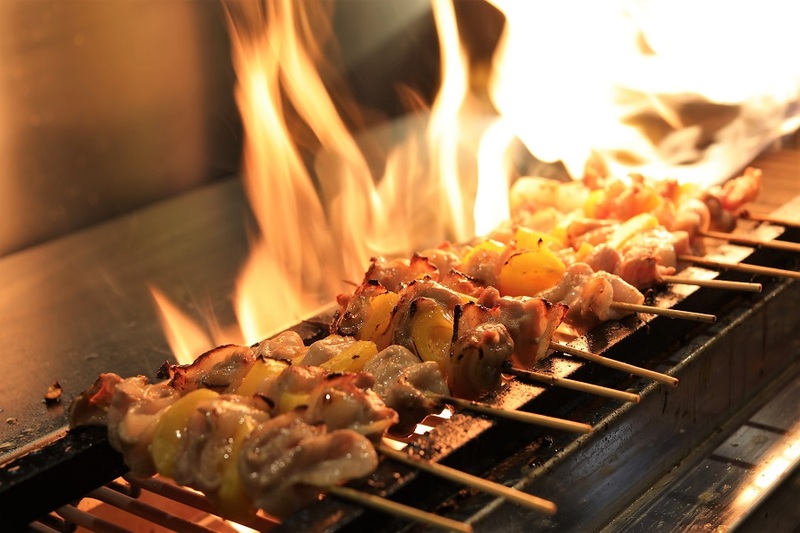 To add a smoky charred taste, the Kkochi is further flame-torched while it is being grilled before you. 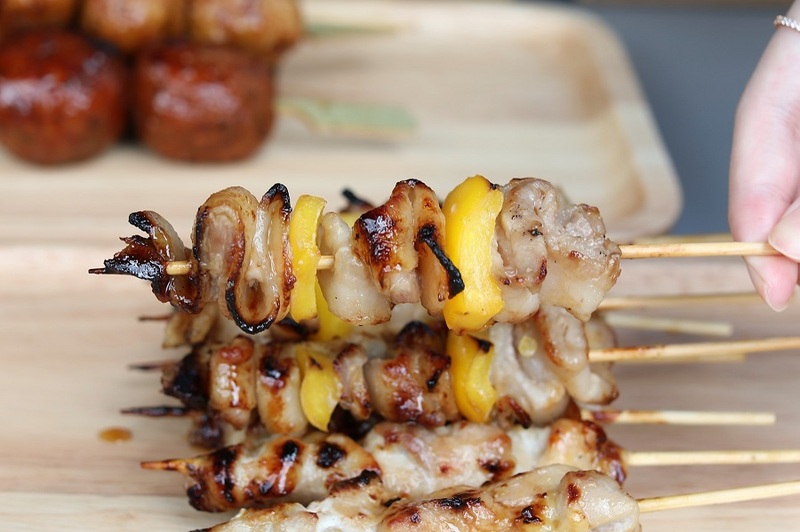 Calm your pork barbecue cravings and try this Korean-style skewer. 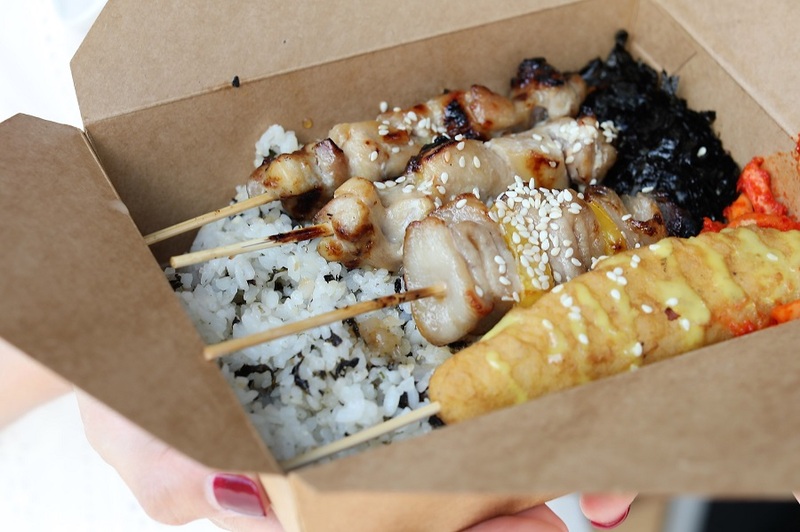 The Pork Belly Zig Zag ($1.60) is a skewered pork belly coated in an authentic Korean marinade, then grilled à la minute over charcoal. The pork is threaded in a zig zag fashion (hence, the name of the dish) with 2 pieces of bell peppers in between. The torch-flaming melts some of the pork fat and adds to the smoky taste of the Kkochi. You can enjoy this hearty kkochi with a refreshing radish kimchi on the side, with the Pork Belly with Kimchi ($1.70). For non-pork eaters but still want meat, there’s Beef Zig Zag Kkochi ($1.80) to appease your appetite. 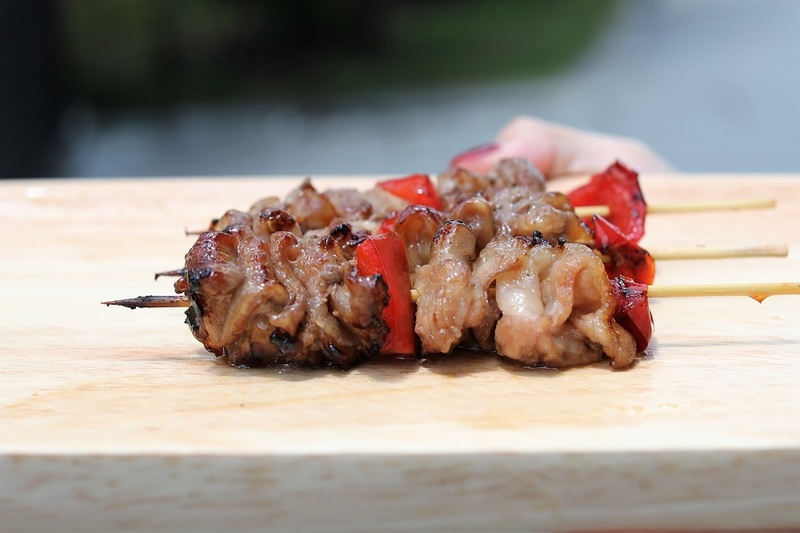 Like its pork counterpart, the fresh beef is marinated in a flavourful sauce with Korean seasonings, then grilled just right without overcooking the meat. 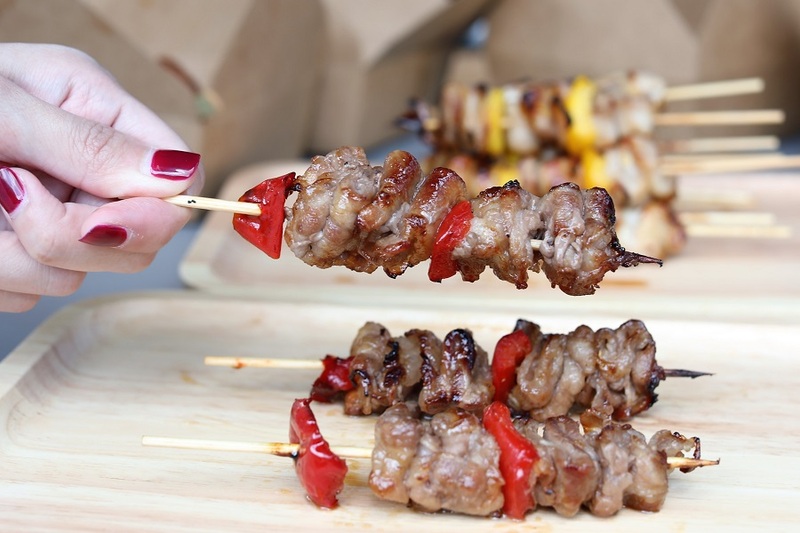 Also skewered zig zag, the beef is tender to the bite. You can also opt for the option of Beef Belly with Kimchi ($1.90). 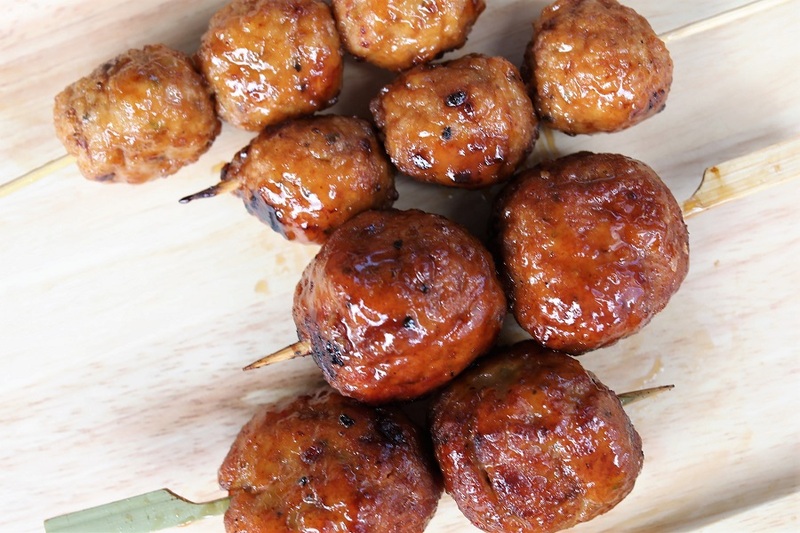 These jumbo chicken meatballs are signature items that even the most discerning ajumma will approve. 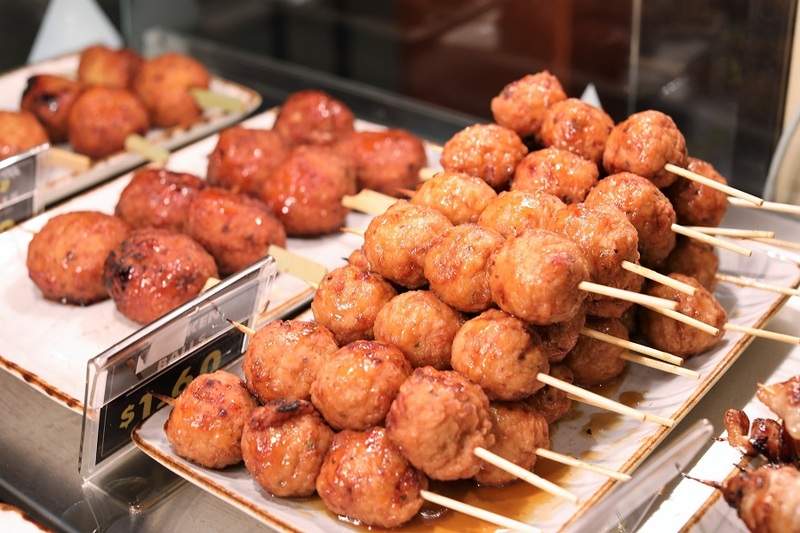 They are made with minced chicken meat seasoned with Korean spices, shaped into a ball and stuffed with either yummy cheese (Chicken Cheese Ball, $2.90) or spicy piquant kimchi (Chicken Kimchi Ball, $2.50). Grilled ‘til they form a golden-brown crust, the meat balls are finished off with a drizzling of 9PM Kkochi’s secret sauce. Similarly, these are the chicken meatballs sans the cheesy or kimchi fillings. They come in a stick of three, easier-to-eat size, and coated in that addictive sauce. 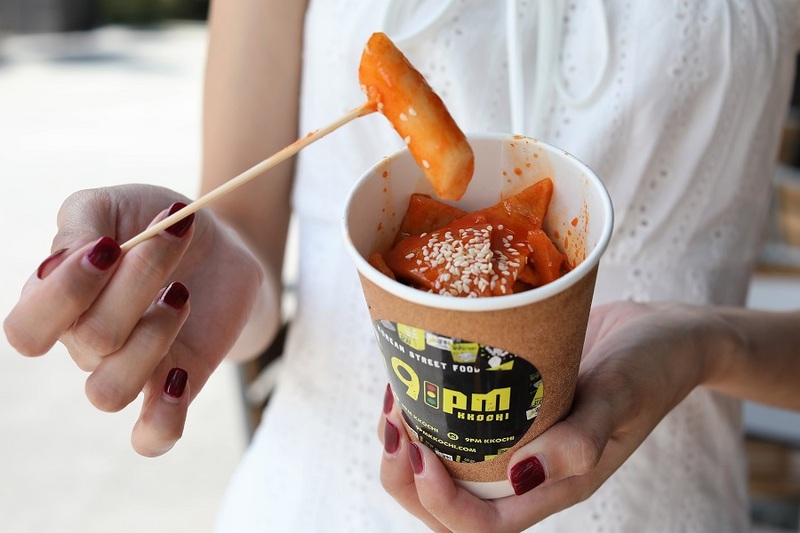 Tteokbokki-in-a-cup ($3.90) is another must-try signature snack. 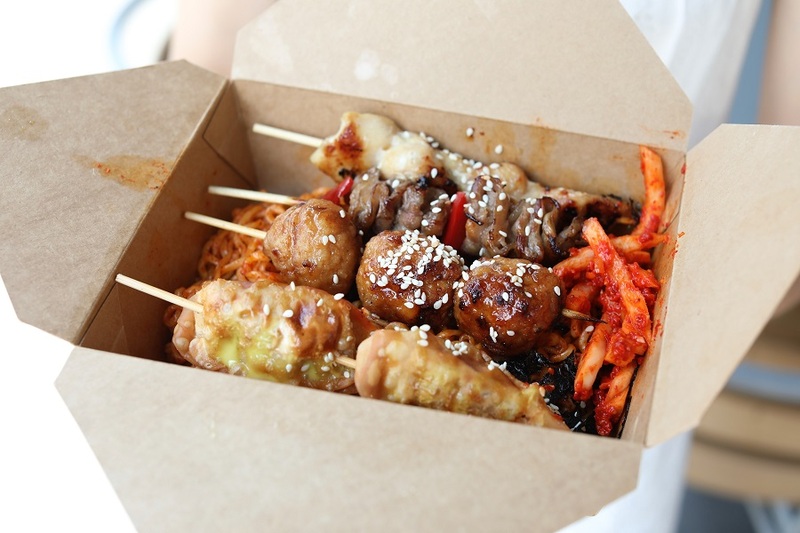 A popular pojangmacha item for young and old alike, tteokbokki is one of Korea’s most adored bunsik (food made from flour) and can be found in many street markets. The rice powder is steamed and made into a long cylindrical-shaped rice cake called garae-tteok. The rice cake used here is specially imported from Korea to maintain its authenticity, cut into finger size pieces and stewed in a spicy gochujang-based sauce with fish cakes. Three times the goodness, the rice cakes come as regular, sweet potato and cheese. 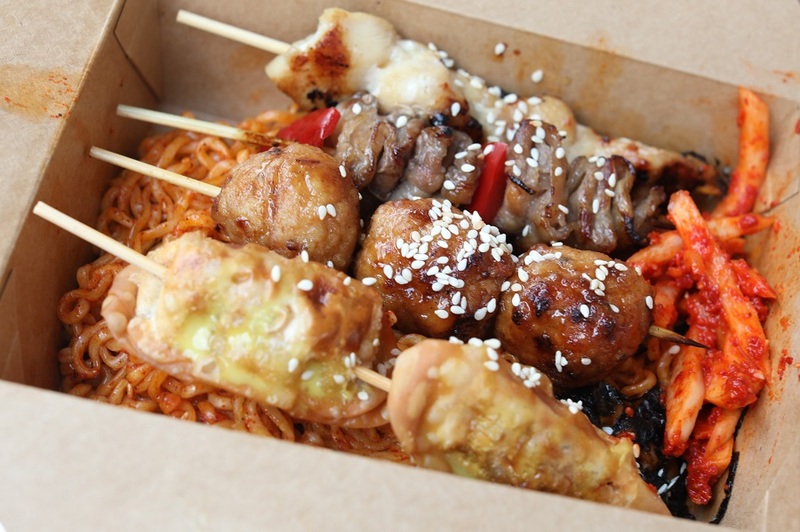 Or order the Tteokbokki-in-a-cup with sausage ($5.50). 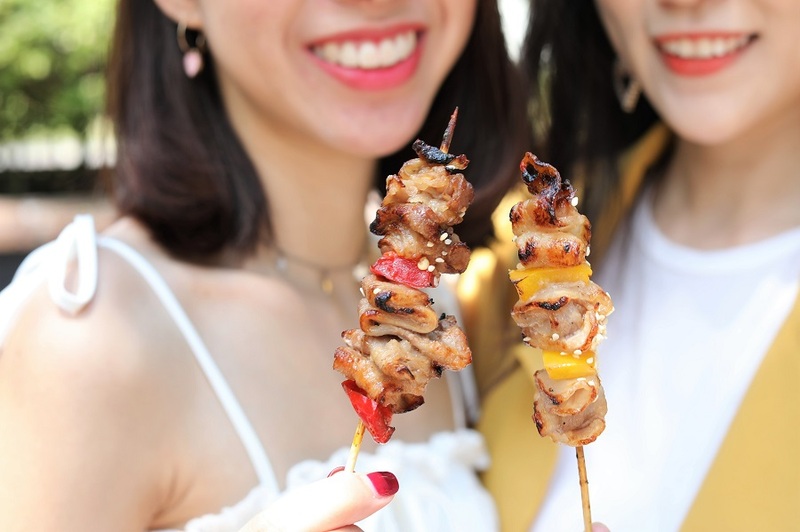 Dak-kkocchi (skewered chicken) is the most popular type of Kkochi in Korea, and here you get to try 4 different kinds of chicken sticks. 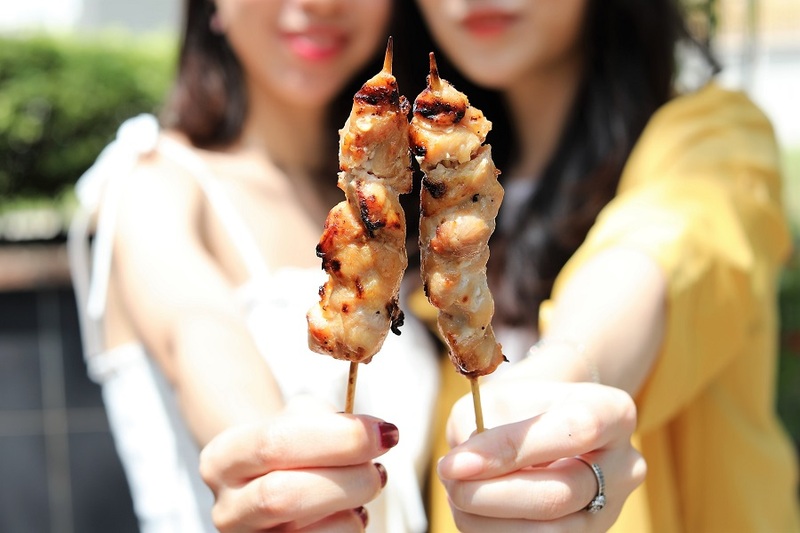 The Regular Chicken ($1.40) is the classic skewered boneless marinated chicken thigh meat grilled over charcoals, then flame torched for added charred flavour. 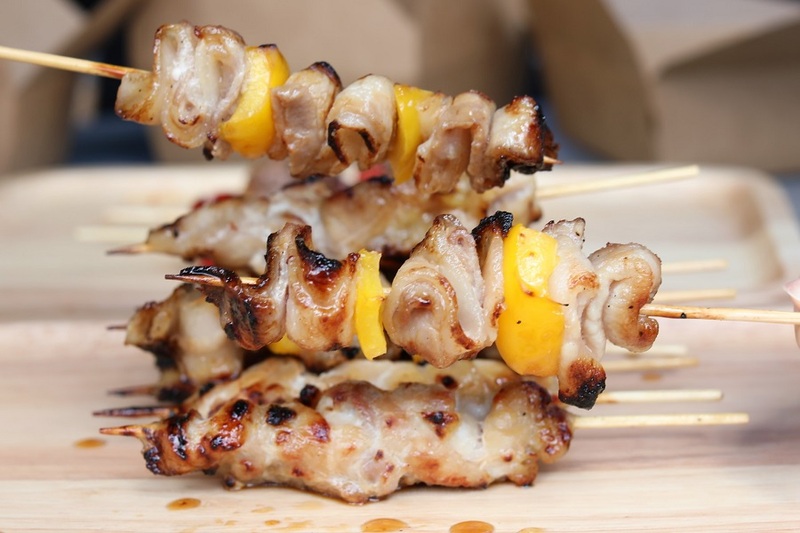 A variation is the Garlic Chicken with Pepper ($1.70), which comes with bell peppers in between garlic-flavoured chicken thigh meat. 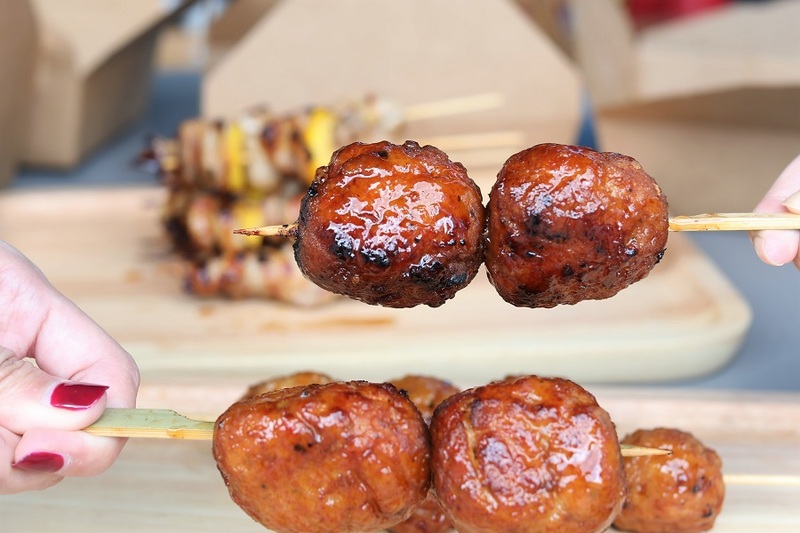 The third option is Chicken Balls ($1.60) with 3 pieces of balls skewered together. The last one, Chicken Cocktail ($1.60), skewers 4 little pieces of chicken-flavoured sausages. Aside from the grilled, flame-torched meats, 9PM Kkochi offers two deep-fried items in the menu for variety: Chicken Fillet and Kimchi Dumpling. 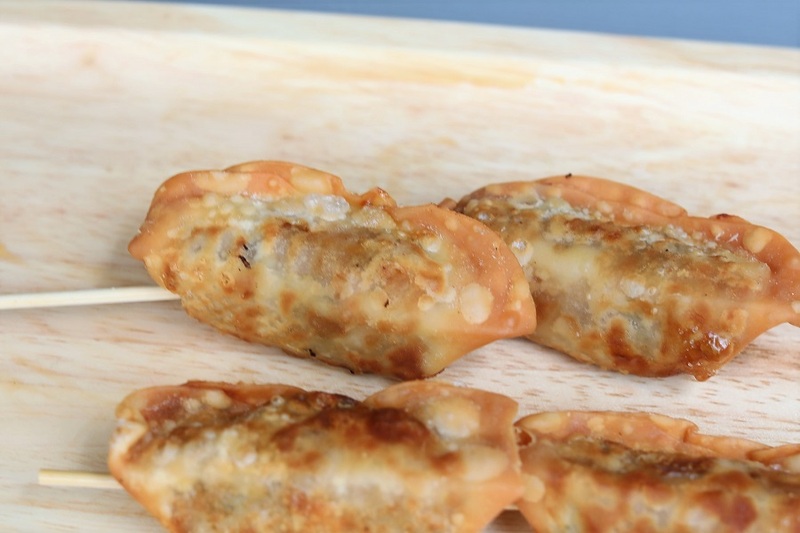 One order of Kimchi Dumpling ($1.90) includes two pieces of deep-fried dumplings with minced pork and vegetables wrapped within. 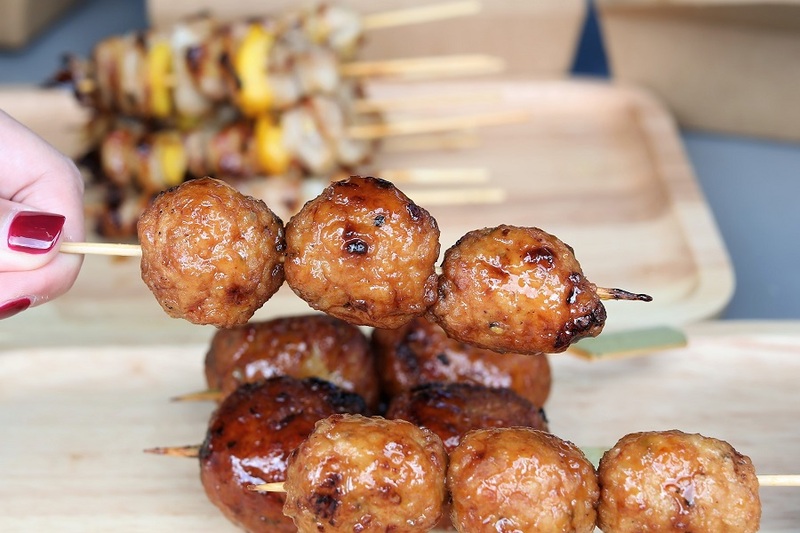 Crunchy on the outside, the dumplings make a good accompaniment to your succulent barbecued meats. One of the top ups available in the menu is the Dry Ramyeon. These stir-fried Korean-style noodles are good pairings for a couple of kkochi. 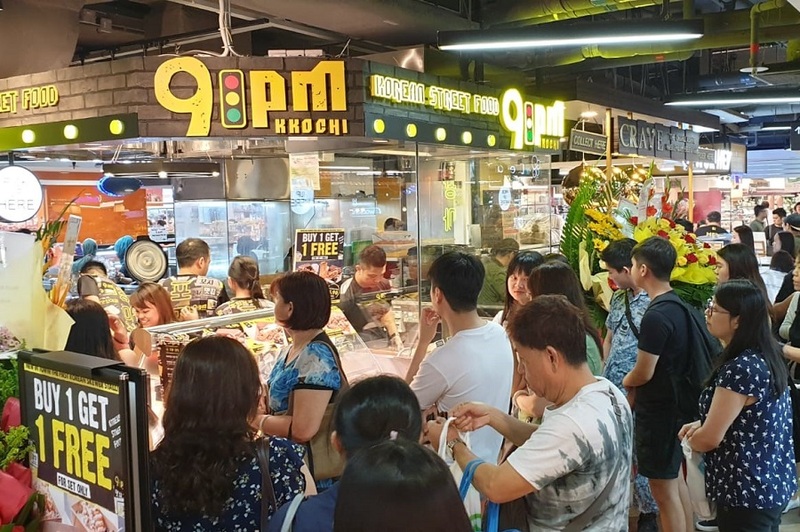 Pay $3.00 if you’re getting just the Dry Ramyeon, or pay less at $2.50 if you have bought 4 or more Kkochi. 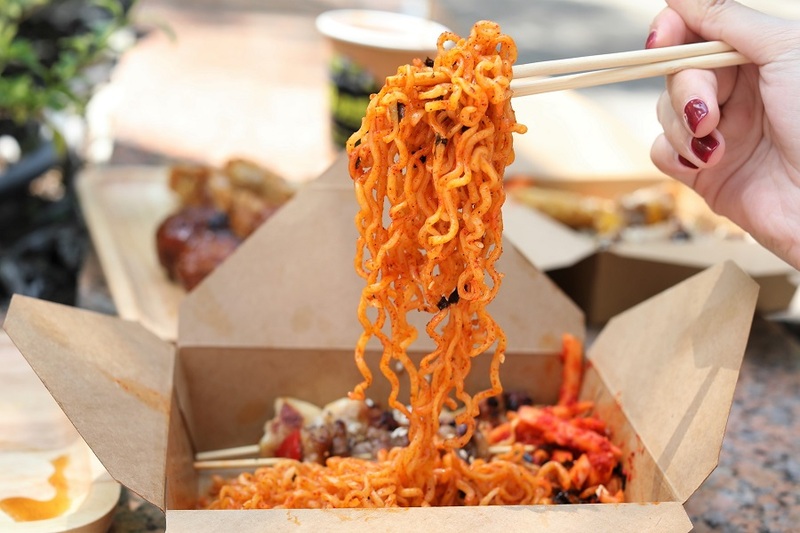 The Dry Ramyeon is prepared à la minute, tossed in a sweetish mildly spicy sauce. Note: you may have to be wait a while during peak hours as the noodles are cooked only upon order. If you want fuller meal, go for any of their 4 Set Menus, which all come with Shredded Radish Kimchi. If you want a fuss-free, protein filled basic meal, then Set A should settle your cravings. Set C and Set D should provide a better variety if you would like a sampler, and also give a go at their fragrant seaweed rice to get a little sesame bites and the flavour of nori. 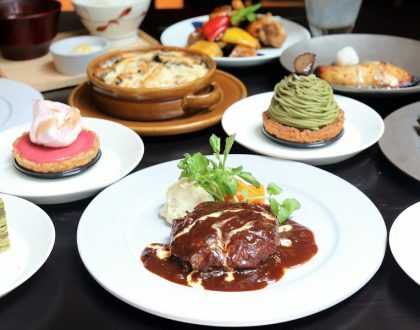 Buy 1 Get 1 Free Set Menus Items (Set A, B, C or D) from April 13 (Sat) to 19 (Fri). 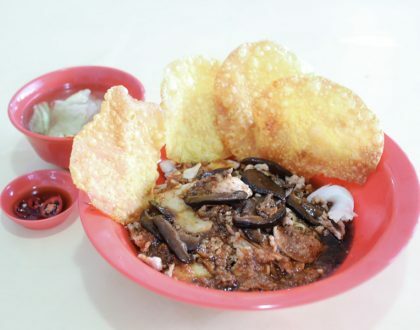 – Promotion is valid for Set Menu Items only, while stocks last. – Flash DanielFoodDiary’s corresponding Facebook / Instagram / or blog post to redeem. * This entry is brought to you in partnership with 9PM Kkochi.